Home Modules Module 2 Section 3 What Genetic Services Do Children and Families Need? 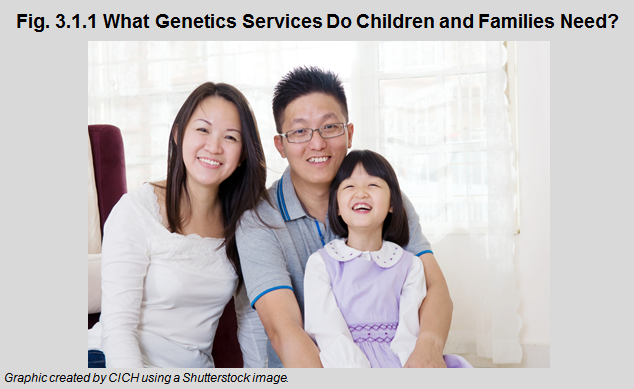 What Genetic Services Do Children and Families Need? Genetic diagnoses are made by physicians trained to recognize signs and symptoms of genetic diseases, and skilled in interpreting genetic test results. They are medical geneticists. Many other physicians – both generalists and specialists – are also able to establish genetic diagnoses as a result of a family’s history, signs, and symptoms. Genetic counsellors are specially trained health professionals who help address issues before and after a person decides to take a genetic test. They are an important resource for families seeking to understand genetic information.